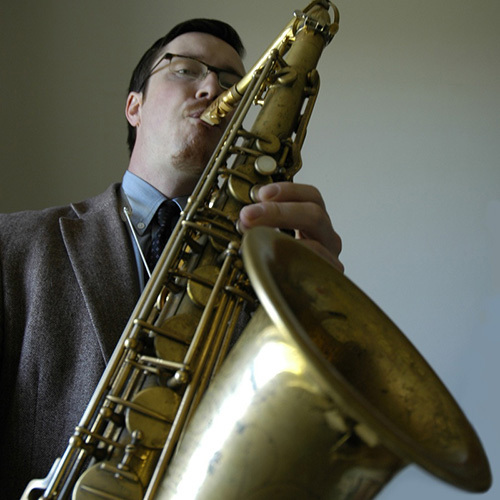 Continuing the BopFest series, Welsh tenor saxophonist Osian Roberts is regarded as one of the finest straight ahead jazz musicians ever produced in the UK. Originally from Cardiff he moved to London in the early years of his career, performing with many of jazz scene's top artists, including Peter King, Jim Mullen and Mark Nightingale. At the same time, he formed his own band, the "Osian Roberts/Steve Fishwick Quintet", with Royal Academy cohorts Steve & Matt Fishwick. The group recorded three critically acclaimed albums on the Hard Bop Records label, which he co-founded, one of which features Cedar Walton and Peter Washington as special guests, before expanding to a sextet with the addition of New York baritone saxophonist Frank Basile. In 2016 the sextet enjoyed a week of performances in New York at Smalls, Smoke and Dizzy's Club Coca-Cola, culminating with the recording session that yielded their second album, "In The Empire State", which has also received critical acclaim. In more recent years Osian has been based in Prague, where he has established himself as a valued member of the Czech & Central European jazz scene, touring with pianist Kirk Lightsey & former jazz messenger Valery Ponomarev. He is also a regular member of the Czech Radio Big Band and the Glenn Miller Memorial Orchestra of France. Tonight's band has been put together especially for BopFest by Osian, featuring him in a quartet setting that reunites him with his old friend and colleague Matt Fishwick on drums, pianist Gabriel Latchin, and bassist Jeremy Brown. Support tonight comes from Wes Montgomery influenced guitarist Dave Chamberlain in a duo with double bass, who will be performing in the club's restaurant during dinner before the main act, with food available from 6pm until 7.50pm.